After been selected to SeedCamp London 2014, We Are Colony becomes one of 8 startups offered investment by Europe’s leading micro-seed programme. 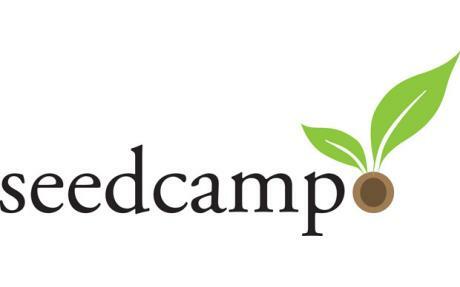 SeedCamp is “the most connected international seed investor in the world and is Europe’s leading micro-seed investment and mentoring program“. Since launching in 2007, SeedCamp has reviewed 5,000 applications and funded 80 (just over 1%) of these companies from 33 countries, and these startups have gone on to raise $90 million in funding. SeedCamp is funded by over thirty VCs and angels, including Index Ventures, Atomico and Yandex to name a few. SeedCamp London 2014 received applications from startups across 50 countries. Just 20 companies were chosen – 9 from the UK and the others from as far afield as Mexico and Estonia – for a week of pitching and mentoring from some 400+ founders, product experts and investors. Of the 20, We Are Colony and 7 other companies were selected for investment (see below). SeedCamp says: “This past week we had one of our most amazing SeedCamp weeks to date. For the 8 startups selected for investment, this is just the beginning of the journey. We look forward to helping our new family members find and scale product market fit, when they join our Seedcamp Academy program shortly”. Sarah Tierney, Founder of We Are Colony says: “SeedCamp offers outstanding support to assist globally ambitious technology entrepreneurs in reaching market-fit and scale. We were excited by the opportunity to network with a range of founders, product experts and investors over the course of SeedCamp London, and look forward to extending these relationships and partnerships over the coming months. In particular, we hope to use SeedCamp as a platform to raise additional funding in the business and deepen our links in the US technology startup and funding ecosystem”. We Are Colony is a video-on-demand platform focused on early and exclusive access to great films. For filmmakers, it is the new place to launch films earlier and build a following. The platform launches in late Spring 2014. Sign up for beta access now at www.wearecolony.com, and follow on Twitter @wearecolony. Elliptic (UK) – making Bitcoin and other digital currencies secure, simple, and powerful to use. Formisimo (UK) – analyses online forms to allow their clients to optimise their sites and gain customers. GoWorkaBit (Estonia) – connects companies that need temporary workforce with flexible workers. interact.io (Germany) – an analytics platform to enrich real-time communications with contextual data. Lodgify (Spain) – the Shopify for accommodation bookings. Tanaza (Italy) – an all-in-one SaaS solution that makes enterprise-grade wi-fi affordable for everyone. Wodd (France) – intelligent, connected hardware for skateboarders.